Couldn't let the day pass without mentioning that today is Alan's birthday. His exact date of birth was a matter that vexed me for some time when I was writing the book. 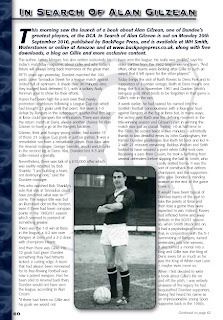 Both his son, Ian Gilzean, and a former Dundee team-mate, Bobby Wishart, speculated that they couldn't even be sure of his correct age when interviewed for a piece in The Scotsman last year. The internet invariably threw up two dates: October 23rd 1938 or October 22nd 1938. The discrepancy seemed miniscule, yet was a major one at the same time and seemed to encapsulate perfectly all of the rumours and myths which accompanied his life. 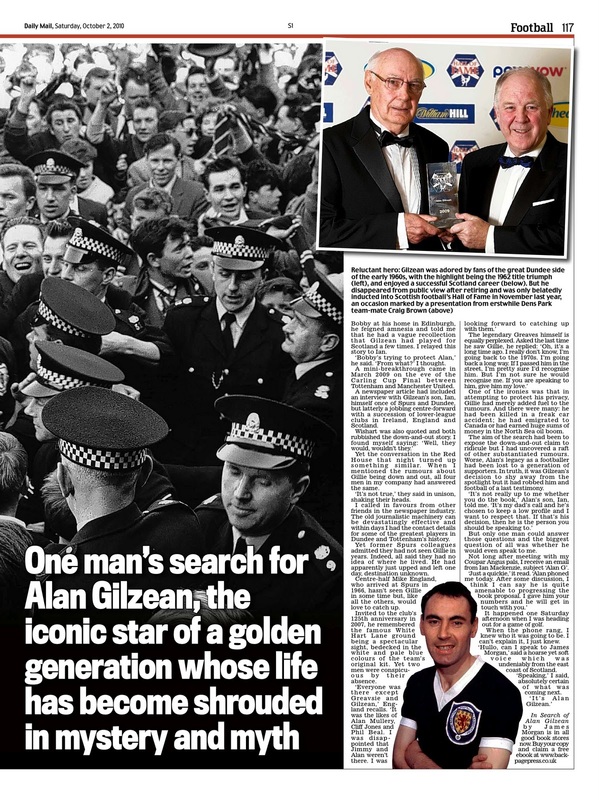 It took a visit to the public records office near the end of my search to confirm that Alan John Gilzean was indeed born on October 22nd, 1938. Tickets are selling fast for the second In Search Of Alan Gilzean night at the New Picture House cinema in St Andrews on Saturday, October 23rd. 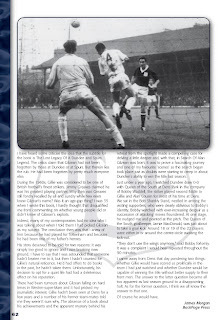 I understand that these are straitened times for the club and supporters are being asked to dig deep for the second time in seven years but, hopefully, the night in St Andrews will give fans a chance to reflect on a time when Dundee were the best team in Scotland and possessed the greatest player in the country. 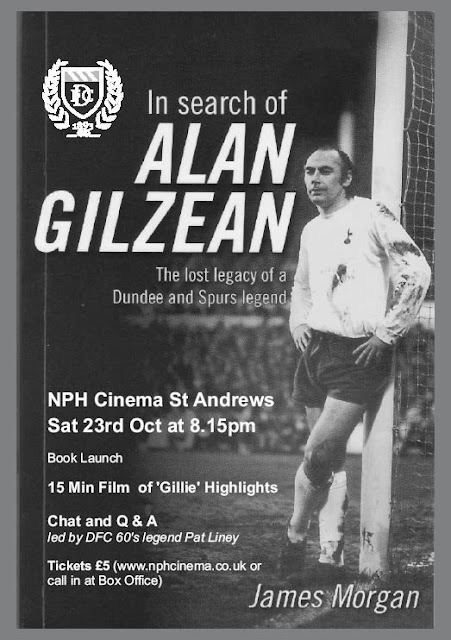 Pat Liney, the goalkeeper from the 1962 league-winning team will be in attendance as will Ron Ross, former sports editor of the Dundee Courier and a schoolfriend of Gillie's. If it's as much fun as the launch in Dundee Contemporary Arts Centre last month then supporters are in for a treat. All ticket proceeds from the evening will go to the Dundee Supporters Society. Tickets cost just £5 and entitle you to a £2 discount on the book. They can be purchased here: http://bit.ly/9WAHyn Doors open at 8.00pm. 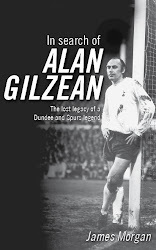 For those of you who missed the launch of In Search Of Alan Gilzean, there is a second chance to watch the great man in action and hear stories about his life at Dundee and his early days in Coupar Angus. Pat Liney, the goalkeeper in the 1962 league-winning team, will be in attendance once again as will former schoolfriend Ron Ross, the former sports editor of the Dundee Courier, who features heavily in the search. 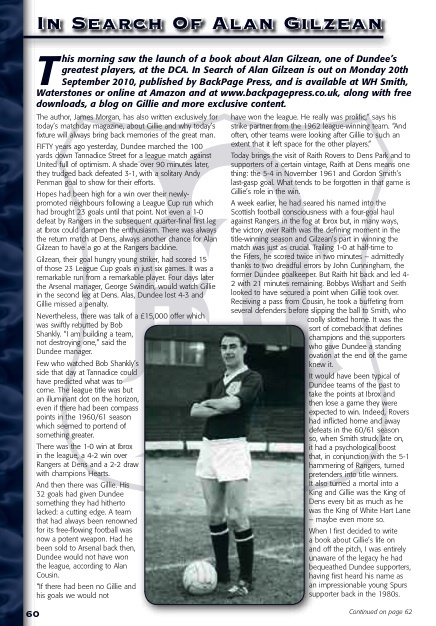 Both men were among the few who actually witnessed Dundee's epic 5-1 win over Rangers at Ibrox in which Gillie scored four times. 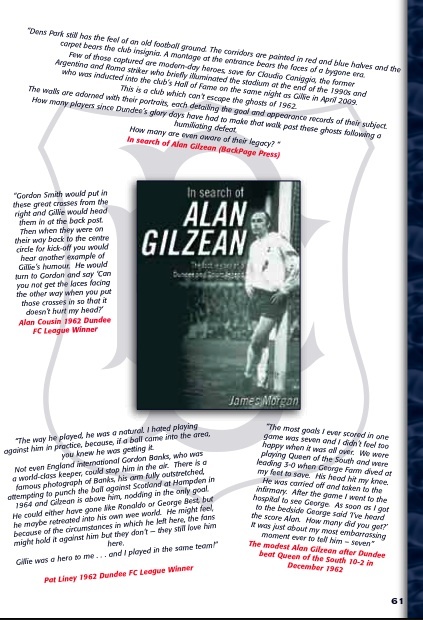 Indeed, Ron travelled through the fog to Glasgow in the company of Billy Forbes, Gilzean's cousin. 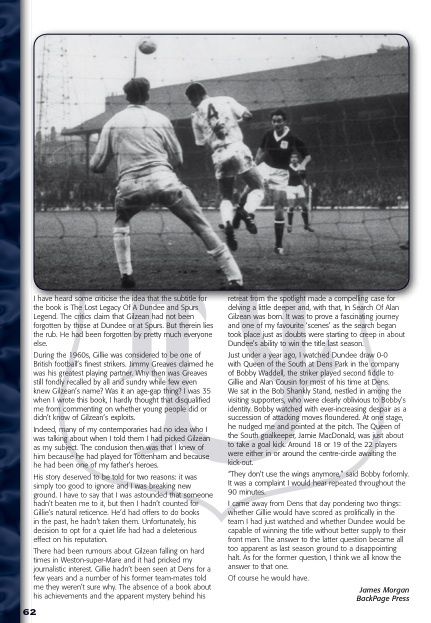 Pat, of course, famously had to ask Alec Hamilton, the Dundee right-back, what the score was because he couldn't see Rangers' goal area from his own. Here are two further pieces which appeared recently in the Scottish Daily Mail and the Dundee programme. 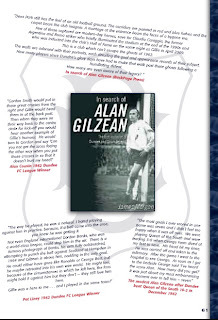 One focuses heavily on the search and the other answers some of the criticism I heard when the blurb for the book was first released - chiefly that Gilzean's name had not been forgotten by Dundee or Tottenham supporters. 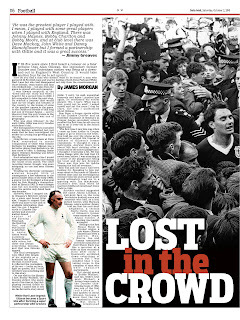 Two nice reviews appeared online and in the national press this weekend. 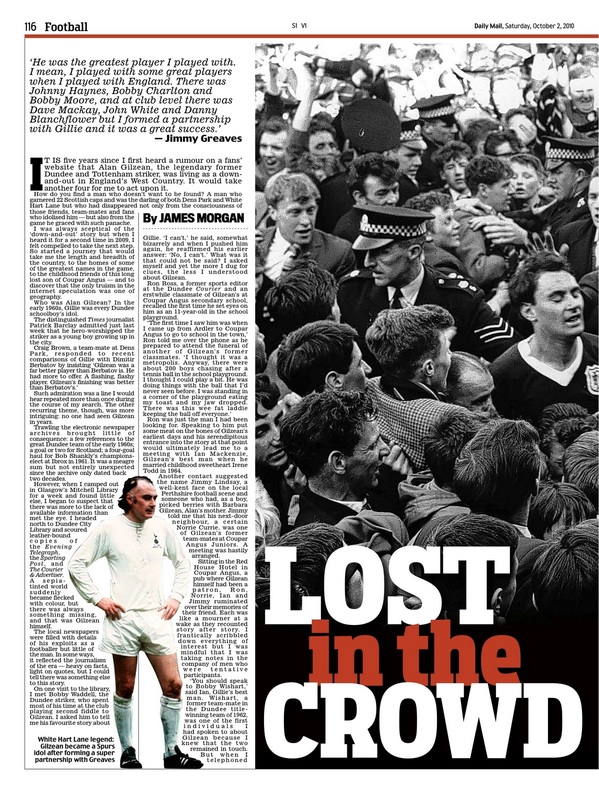 The first is in the Sunday Herald and is written by Harry Reid, estimable former editor of The Herald, and the second is on the Sports Journalists' Association website and is written by Anton Rippon, himself an author of over 30 books and the founder of prolific football history publisher Breedon Books. Copyright James Morgan. Powered by Blogger.